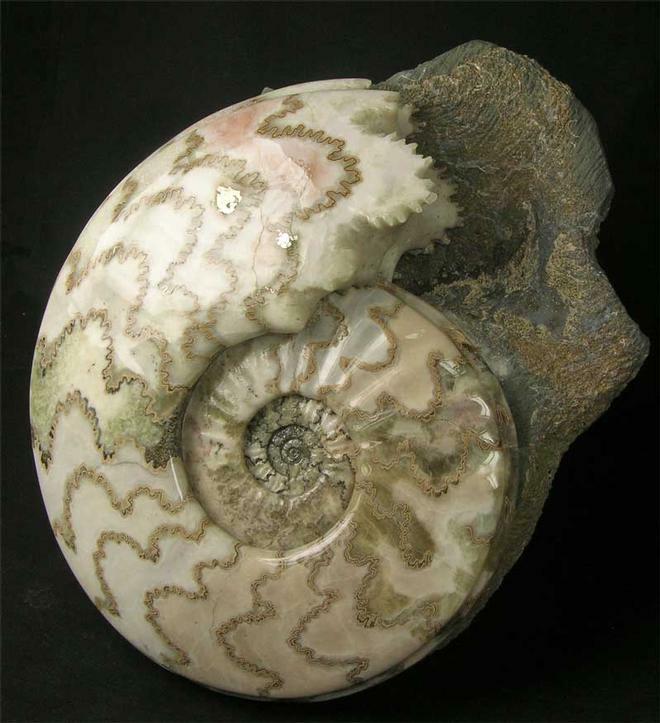 A truly superb ammonite which has had many, many hours of preparation time spent on it. These ammonites from Scunthorpe are amongst the most desired fossils in the world. 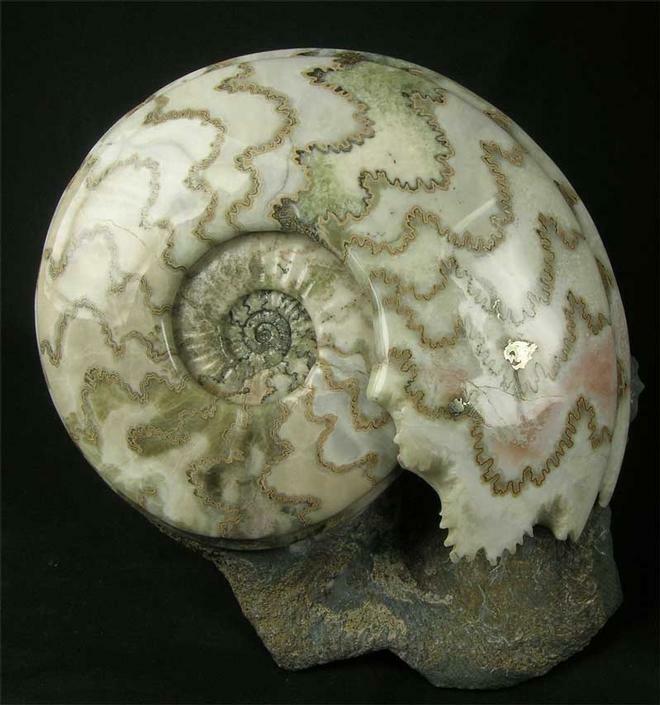 The ammonites colours and sutures are stunning right to the centre, the colours of the ammonite include, greens, pinks, purple, brown, cream and orange. 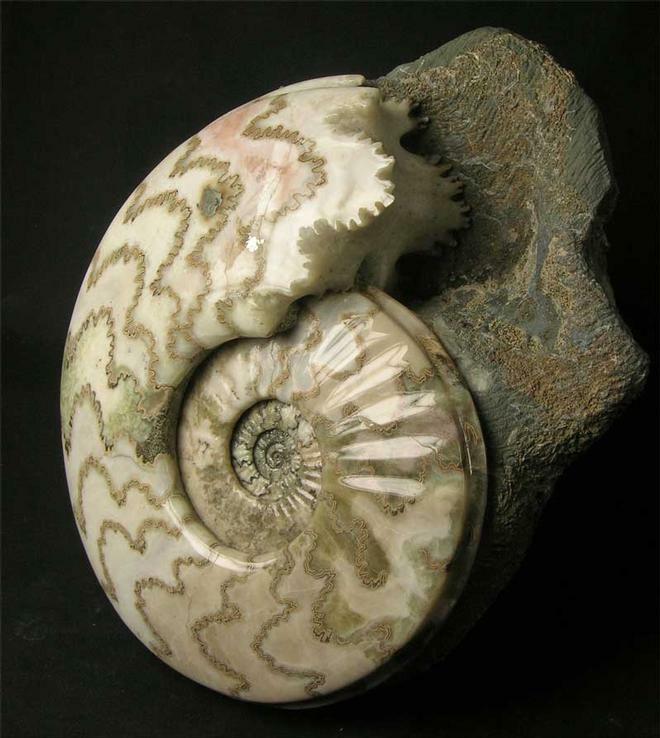 This type of ammonite from Scunthorpe is becoming incredibly difficult to obtain due to the fact that all the quarries producing this material are all now closed and have been filled in. 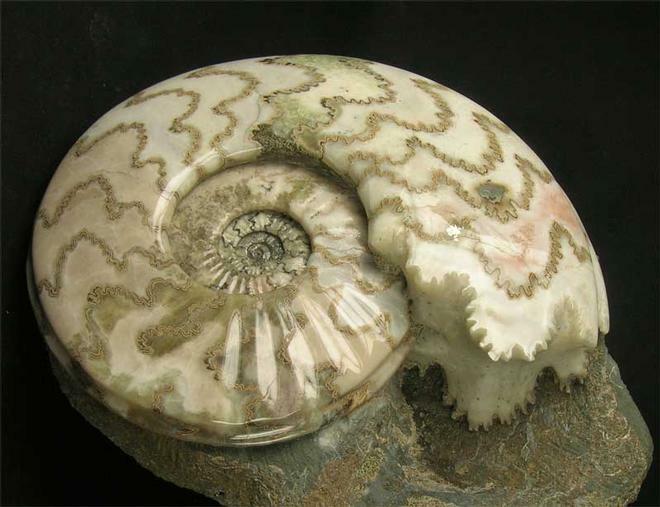 The ammonite lies on a small piece of matrix and displays the "Cat's Paws" at its aperture. Not only a fantastic and sound investment but will become a classic rarity in the future. Approximately 200 million years old. A chrome display stand is included with this fossil.